Delicata squash are unlike other squash. They are relatively small and typically eaten as single serving squash. 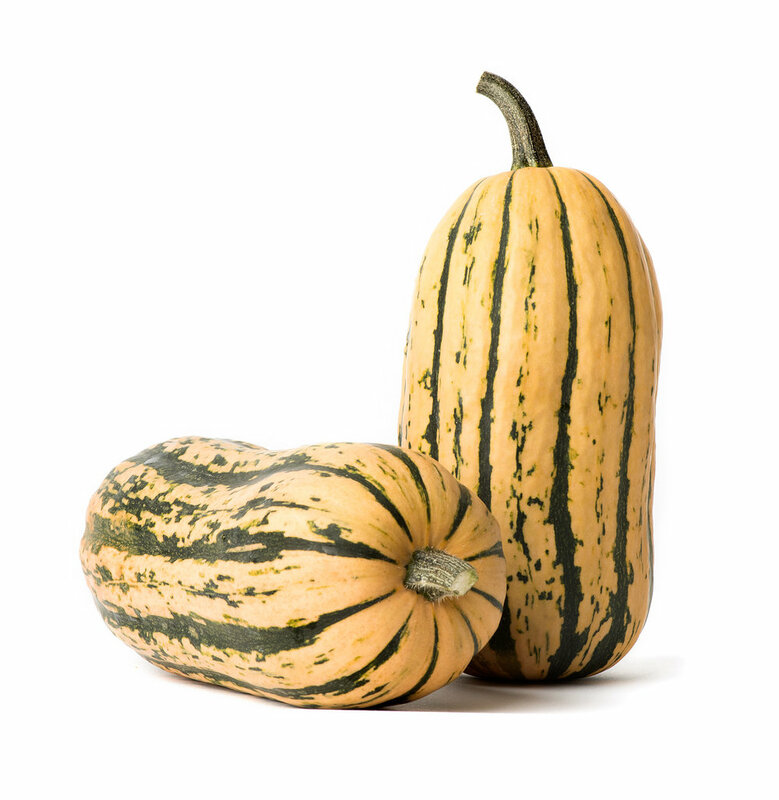 A delicata type squash was first introduced by a seed company in the US in 1894. In our project, we have evaluated two open pollinated varieties of delicata that have been selected for strong performance and longer storage in western Oregon - Zeppelin (Wild Garden Seed) and Candystick Dessert (Carol Deppe/Fertile Valley Seeds). Delicatas in general are not particularly long storing, but these varieties can store into January. Many home cooks simply slice them lengthwise (as pictured below), remove the seeds, and bake them cut-side down for 20 minutes. SIMPLE!